My card today features the stamp set and coordinating Die-namics, as well as some older faves, including the super cute Hearts & Stripes Patterned Paper Pack. I just can't get enough of this kit. It is SO darn cute and there are SO many possibilities with it! 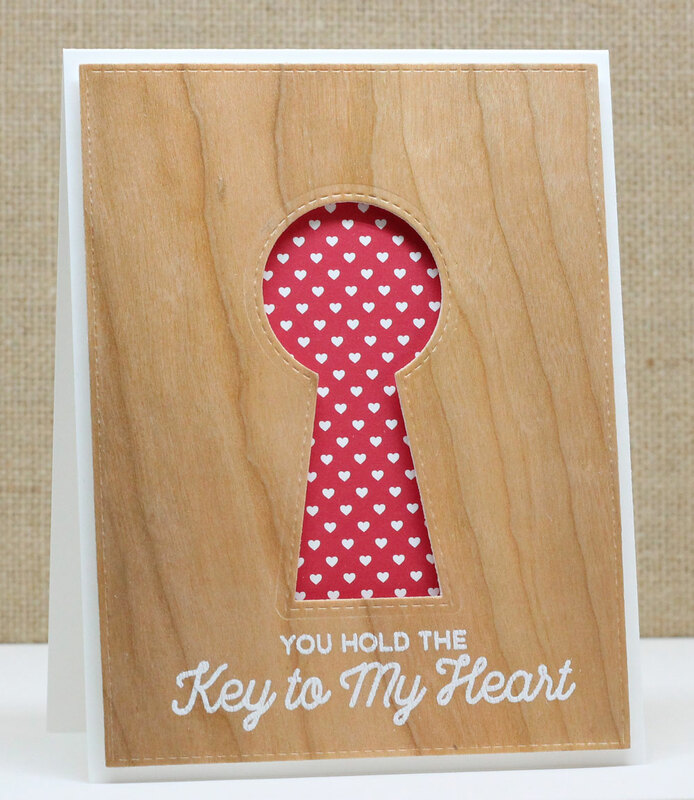 Up next is this simple card using the large keyhole die. I just love the look of it. 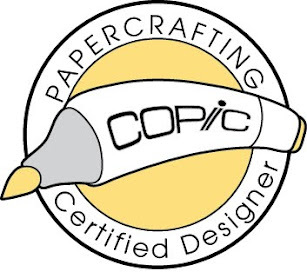 I cut it out of the Cherry wood Paper and put some patterned paper behind it. It signifies the love in a home. (awwwwww). The sentiment was embossed on the paper in white. I think we all have those little stashes here and there! They come in handy!! I really like the keychain idea on your first card, it would be great for a new homeowner's card too. Love the versatility of the kit. 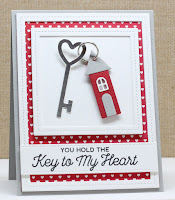 I love the key die, hoping to make a card for my son when he closes on his home. Love the house as the key chain! How wonderful that you had those keychain rings coz it is the perfect touch here. The one with "You Hold The Key To My Heart!" So cute! Both cards are fabulous! Really love your key chain card! Great cards! I especially liked the key chain idea in the first one! Love both these cards!! 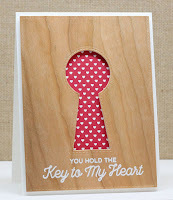 The key chain idea is so cute ànd the little hearts designer paper in the keyhole is also very cute! Oh My goodness! so wonderful! Love the whole kit's inspirations! Great creativity on both of these cards. There's the card with your silver stash!! So cute!!! Fab cards. 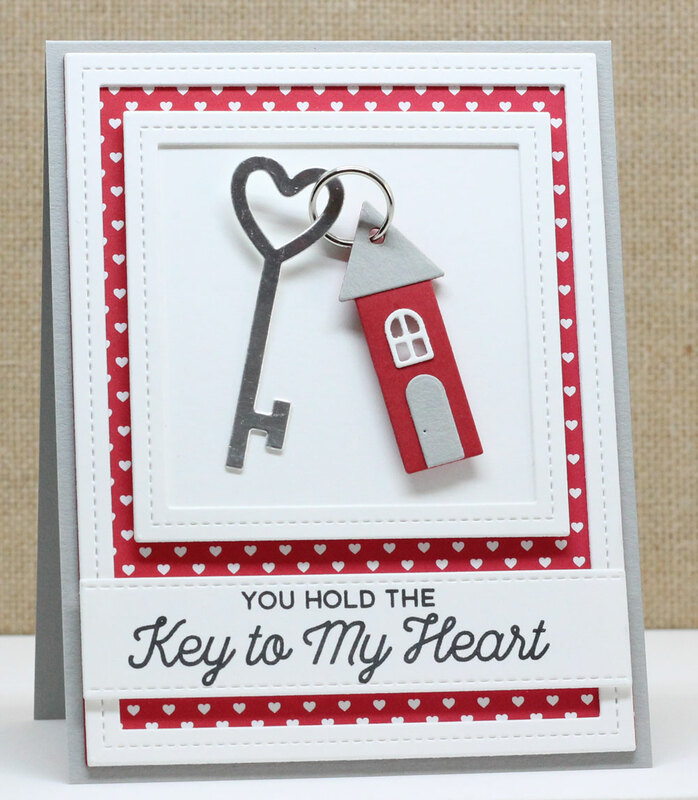 Love the house dies and your adorable key ring. Really unique and fun ideas. I wasn't sure how to use that large keyhole but you made it look special. Really like the keychain house also. Very cute. I love your key ring idea. Great cards. Love the keyhole in the wood grain. The keychain is a fun idea. 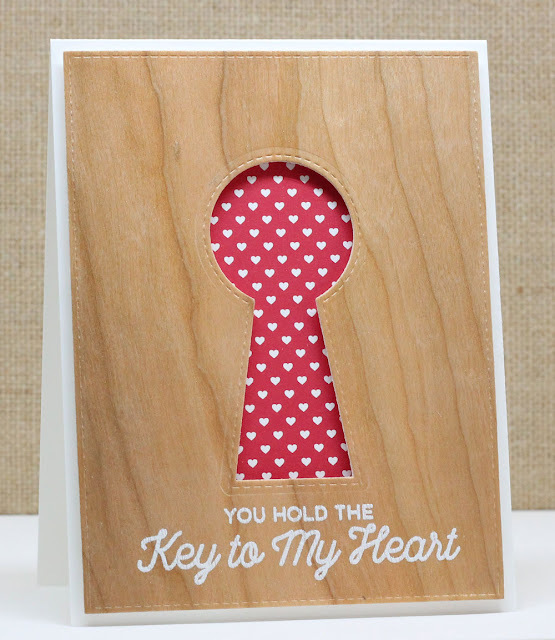 Very clever card ideas--especially the key chain. Your cards are wonderful!!! 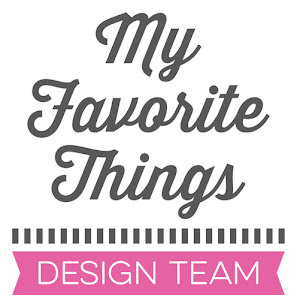 Love them and this awesome card kit!! Wauu. Super great idea with keychain! Thanks for inspiration and Amazing Projects! Those cards are wonderful. I just adore that little keychain! Both cards are fabulous, Jody, but your first one stole my heart with the mini key ring. So clever with both designs!